You know, whoever coined the phrase "I am an addict" really did us all a huge disservice! Because I am not my addiction. 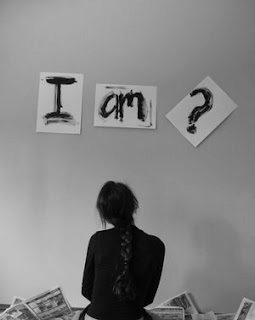 Labeling myself only makes it seem that much more impossible to overcome because it's WHO I AM. But it's not who I am. The correct thing to say would be "I have addictions." Because these things do not define me. It feels so good to begin step 6! I'm also so happy to have a new sponsor from the addiction recovery group for females. As much as I love my support in recovery group ladies, I really felt like I needed to join a group where women could really understand where I stood. After reading out my step 5 aloud, I'll have to say I feel so much less alone! I didn't realize how alone I felt before, but I did! I felt like I was completely alone in how I felt. Even after two years attending meetings, I felt different and apart from everyone else. But reading and spilling out my step 5 helped me see that my sponsor and many of these other women are really just like me! Of course, we have our differences, but we think the same way because of our similarities, rationalizations, and trying to stay on top of our addictions every single day! It was so refreshing to sit and talk to someone who understood completely! Especially about media addiction. Most people shrug it off, saying "Awe, it's just a tv show." But they don't understand how detrimental "just" a tv show can be to me, when I'm not just watching it, I'm getting a high that I have to come back down off. I get so attached to the characters that I painstakingly fantasize over them, wish with all my heart that my world could collide with theirs, and I begin to value this fantasy world over my own life! Yeah...there's something wrong with that! It felt so good to have someone sit next to me and say, yes, it's the same for me. Another thing that reading my inventory out loud did for me was that now I have more courage to speak out about my addiction if I am moved upon by the spirit. I feel I will open myself up to the women in my support group meeting this week and let them know that I can identify with their addicted loved ones at a different level. I think opening up may help someone because there is bound to be someone else like me coming to our meetings since the only ones available are a drive away from here. There may be women who are addicts and not allowing their conscious mind to see it (like I used to be!). My new sponsor also helped me to correlate more of my weaknesses with my addictions. I hadn't realized that my tendencies to chameleon other people's likes is actually not an uncommon trait among those who struggle in addiction. Because addiction can blur with who a person is, making it hard to identify ourselves outside the addictions. Time isn't spent on thinking about these other good things we like, like favorite music, hobbies, even my favorite color was hard to choose. Our bad habits become our hobbies and we can't share them with anyone so we are left in isolation. It's a sad way to live. It reminded me of the movie with Julia Roberts, Runaway Bride. I always identified so deeply with her character's inability to choose a favorite kind of eggs, among other things, and how it was destroying her life. I couldn't understand why both of us did that, so I felt like it was some romantic mystery. I remember watching the movie and feeling so connected because I was just like that. Now I think it's because she was addicted to something too. Addiction handicapped my ability to define myself. It's so freeing to separate myself from my addictions because now I am free to see the opportunities for all the many things I can like and be. I can stop doing things because someone else likes to do them, and do them because I like it. I just have to figure out now what I like most. I like red and purple. I like indie music that is uplifting and upbeat. I like singing and playing piano. I like being artistic and creative.